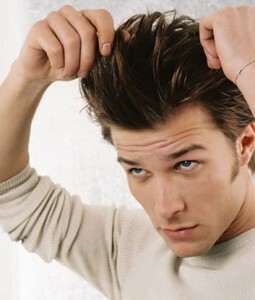 RECEDING HAIRLINE CAUSES – OVERVIEW FOR MEN AND WOMEN. Receding hairline causes is effecting every person !!. It may happen when you’re blowing your hair dry, during the morning shower or when you’re brushing. 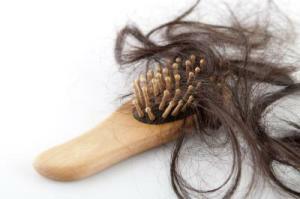 On average, an individual loses around 50-100 hair strands in a day. Most dermatologists suggest that you should not panic if you notice some strands in your comb. Losing about 100 strands is just your hair going through regular growth cycles. Before you even notice, there will be new strands to replace the old ones. However, receding hairline should not be overlooked. Most of the time, unusual hair loss may be a sign of a serious medical condition. This needs an evaluation by a medical professional or dermatologist. You may also need an appropriate receding hairline treatment plan. In this post, we’ve discussed the 10 most common receding hairline causes. A better understanding of these causes will help you choose an appropriate plan of action. Telogen Effluvium is a condition which occurs after major surgery, pregnancy, extreme stress or drastic weight loss. In this condition, you lose large amounts of hair on a daily basis. Most of the time, this happens when you’re brushing, styling or shampooing. This may also be a side effect of some medications, like beta blockers, anti-depressants, non-steroidal anti-inflammatory drugs and more. In this condition, your hair shift faster than normal from the growing phase into the resting phase. They also move quickly into the telogen or shedding phase. Due to this, you start losing more strands of hair everyday. Genetics is one of the most common receding hairline causes. A person may inherit the tendency to lose hair strands from either or both of his/her parents. This condition is called male pattern baldness or female pattern hair loss. Androgenetic Alopecia is the medical term for hereditary hair loss. When it comes to hereditary hair loss, your genes affect how hair grow. This condition triggers a sensitivity to a family of hormones called androgens, like testosterone. Receding hairline causes follicles to shrink. Hair follicles are the openings from which hair grow. When follicles shrink, they produce thinner hair. Eventually, they completely stop producing hair. 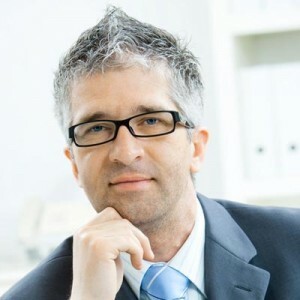 Many men develop bald spots on their forehead area or top of the head. On the other hand, women experience thinning of hair only on top of the head. More than 50% people suffer from inherited hairloss by around 50 years of age. Millions of people in the world suffer from thyroid disease. Women are more prone to hypothyroidism. Hypothyroidism is the condition in which your body produces an insufficient amount of thyroid hormone. This hormone is responsible for your heart rate, mood and metabolic rate. On the other hand, when your body starts producing a lot of thyroid hormone, you suffer from an overactive thyroid or hyperthyroidism. Thyroid hormone is primarily responsible for everything, from the rate at which the body uses energy and oxygen to the growth of skin, nails and hair. When your body is unable to produce sufficient thyroid hormone, you experience changes in basic bodily functions. Women who don’t eat sufficient amounts of iron-rich foods or experience heavy periods are likely to suffer from an Iron deficiency. In this condition, the blood does not have enough red blood cells. RBCs or red blood cells transport oxygen to cells throughout the human body. This provides your body with the energy you need. More than 5 million women in the United States of America suffer from this condition. Polycystic Ovarian Syndrome can begin quite early in life. In some cases, it begins even before a woman enters teenage. This condition is caused by a hormonal imbalance. The ovaries start producing too much testosterone or male hormones. Polycystic Ovarian Syndrome not only causes receding hairline, but also leads to infertility. An unhealthy scalp can easily cause inflammation. This makes it very difficult for your hair to grow. Skin conditions which may lead to hair loss include psoriasis, seborrheic dermatitis and fungal infections like ringworm. Seborrheic dermatitis is one of the most common receding hairline causes. Like Lupus, this conditionis also an autoimmune disorder. In this condition, the immune system starts attacking hair follicles. Alopecia Areata affects over 4.5 million people in the United States of America. This condition affects both men and women. The primary cause of Alopecia Areata is still unknown. However, it may be triggered by illness or stress. In the modern world, poor nutrition is one of the most common receding hairline causes. Lack of a healthy and balanced diet can make your hair follicles shrink, and weaken the strands. Iron deficiency or lack of protein in your diet may lead to hair loss. Once you change your regular diet, and start eating enough of vital nutrients, vitamins and minerals, you will notice improved hair growth. Hair loss can have a major impact on your overall appearance. Therefore, if you’re experiencing receding hairline. You should not overlook this problem. You should immediately visit a dermatologist, and discuss various options. Dermatologists will also be able to determine if your hair loss problem is menial or caused by some underlying issues. If left untreated, receding hairline causes may lead to other problems, which may have a significant impact on your overall well being. When we really feel we have been among those ill-fated guys that is evolving into follicly-challenged ultimately, all of us do not have to relax helplessly watching our own baldness. The above mentioned baldness therapy options can help quit our own hairfollicles through faltering all of us and can quit your hair reduction issue. However most likely we all know that we are not able to achieve all of these techniques mentioned previously in this post. You will find products that will help a person along with baldness. These products are very well examined and assist you to with baldness as well as hair regrowth!!. Simply see the products content articles and you can see that it can help. These products will help males as well females. Hopefully we will hope the best wishes for you in dealing with this particular hair loss issue. However all of us more comfortable with these details that the we and shut be more enjoyable living with hair than without hair. I would really prefer to advertise these items with regard to hair loss therapy. Don’t hesitate to test. These products are really simple to use and has no side affects.